A judge today rejected President Obama's bid to stall a Gitmo detainee's trial. A military judge at Guantanamo on Thursday rejected a White House request to suspend a hearing for the alleged mastermind of the USS Cole bombing, creating an unexpected challenge for the Obama administration as it reviews the U.S. war-crimes trials process. The judge, Army Col. James Pohl, said his decision was difficult but necessary to protect "the public interest in a speedy trial." The ruling came in the case against Abd al-Rahim al-Nashiri. The bombing of the Navy destroyer in 2000 in the harbor of Aden, Yemen, killed 17 U.S. sailors. It seemed to take the Pentagon completely by surprise. "The Department of Defense is currently reviewing Judge Pohl's ruling," said Navy Cmdr. Jeffrey Gordon, a Pentagon spokesman. "We will be in compliance with the President's orders regarding Guantanamo." Obama has ordered the detention center in Cuba to be closed within a year. The administration asked last week for a 120-day suspension in proceedings against some 20 detainees as it considers whether to continue trying alleged terrorists in the military commissions, revamp them or try suspects in other courts. On Jan. 22, Obama signed an executive order directing Defense Secretary Robert Gates to ensure that "all proceedings of such military commissions to which charges have been referred but in which no judgment has been rendered ... are halted." But Pohl wrote in his ruling that "on its face, the request to delay the arraignment is not reasonable." Navy Lt. Cmdr. Stephen Reyes, the Pentagon-appointed attorney for Abd al-Rahim al-Nashiri, said the decision gives the Obama administration few options. "The next step, if the government wants to halt the proceedings, is to withdraw the charges," Reyes said. "Now it's in the government's hands," he said. "I have no idea what they're going to do." Pohl is the chief judge at the tribunals at the U.S. Navy base in Guantanamo Bay, Cuba. At least two other judges have already granted the continuance sought by the president, with the defense and prosecution agreeing in both cases that they should be suspended. Pohl noted that no substantive legal issues would be litigated at al-Nashiri's arraignment, scheduled for Feb. 9, meaning that "nothing will be mooted or necessary for relitigation" if Obama scraps the tribunals. The war crimes court came to an abrupt halt Jan. 21 after two other military judges granted Obama's request to suspend proceedings while he reviews former President George W. Bush's strategy for prosecuting terrorists. Obama's executive order came the following day in Washington. Those proceedings were against a Canadian accused of killing a U.S. soldier in Afghanistan and five men charged in the Sept. 11 attacks. 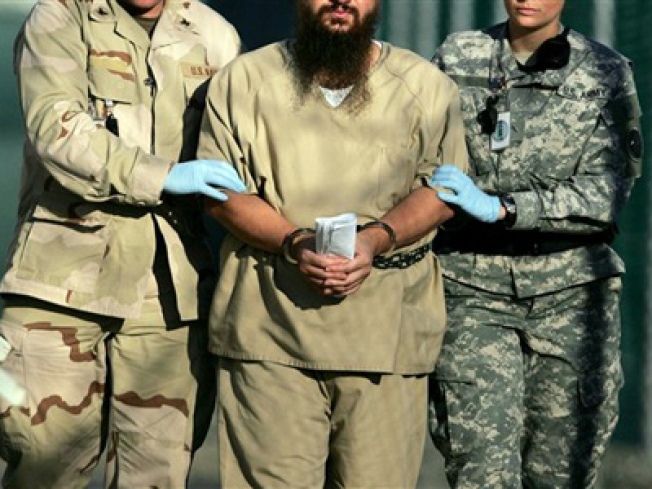 In all, war crimes charges are pending against 21 men at Guantanamo. Before Obama became president, the U.S. said it planned to try dozens of detainees in a system that was created by Bush and Congress in 2006 and has faced repeated challenges.